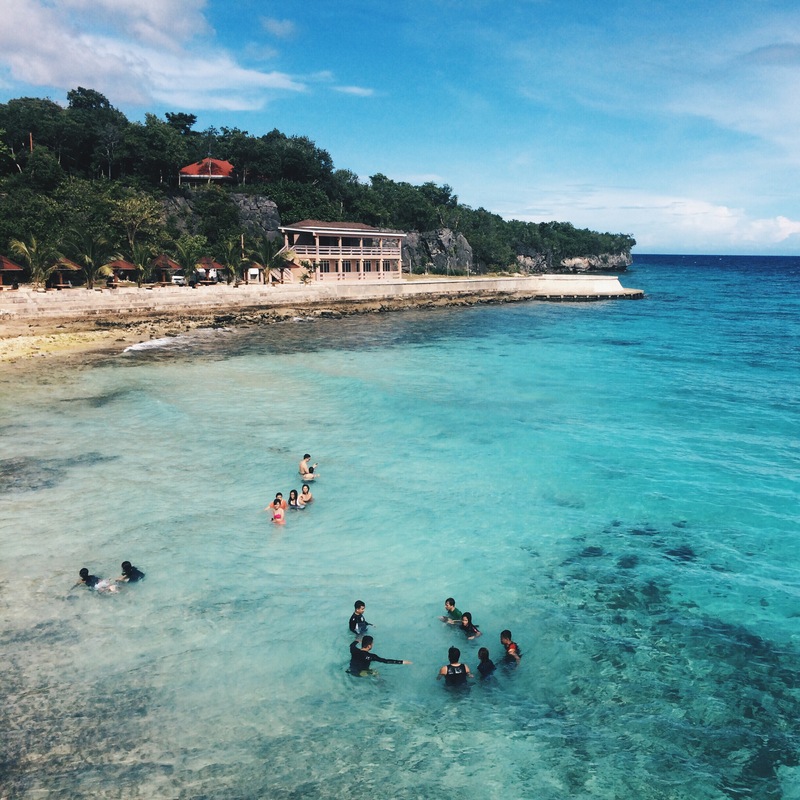 Salagdoong Beach is another must-visit destination in Siquijor. Located on the south-eastern part of the island approximately 30 km. away from Siquijor Port. As part of our Siquijor island tour, we dropped by Salagdoong Beach after visiting the enchanting Cambugahay Falls. The beach is located at the town of Maria. Don’t forget to take a picture of the scenic drive through the Salagdoong man-made forest. Even though the beach is technically within a resort, it is still open to the public. There are available cottages and rooms for rent. There’s also a restaurant serving meals ranging from P150 – P400. The beach is clean and well maintained, ideal for swimming. It boasts fine white sand like most beaches in Siquijor. 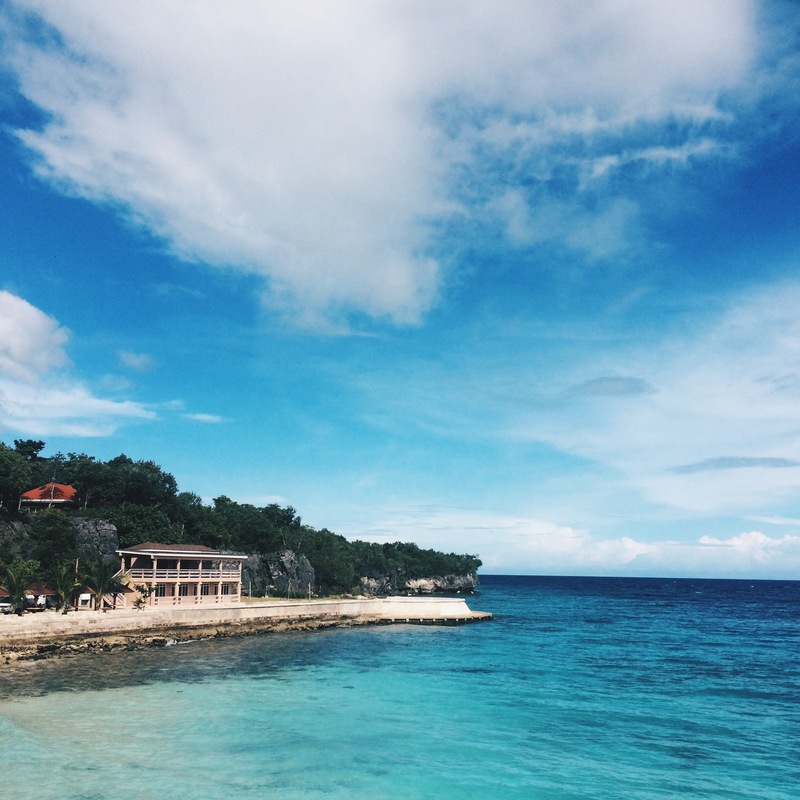 (Read: Sunset Beaches of Siquijor) The most fascinating feature of this beach is its crystal blue waters. You can see how it changes shade as you go deeper. One exciting activity you can do here is cliff-diving. If you’re facing the beach, head to the rocky outcrop on the right, head up the stairs and you’ll see two diving boards at varying heights. Most tourists usually go to this rocky outcrop to take photos of the white sand beaches of Maria. More daring ones, jump. If you’re new to cliff-diving, take the one on the left as it’s a few feet lower. According to the guide, it’s safe to jump here but most recommended to use this board during the high-tide. Make sure you jump away from the board as the water directly below it is not as deep. If you’re feeling more adventurous, take the higher one on the right. The beach is located at the town of Maria on the eastern side of the island. There is a sign along the national highway that will lead you to Salagdoong Beach. You will pass by the Salagdoong Man-Made forest. Since it’s part of our island tour we did not have any problems in looking for the beach. 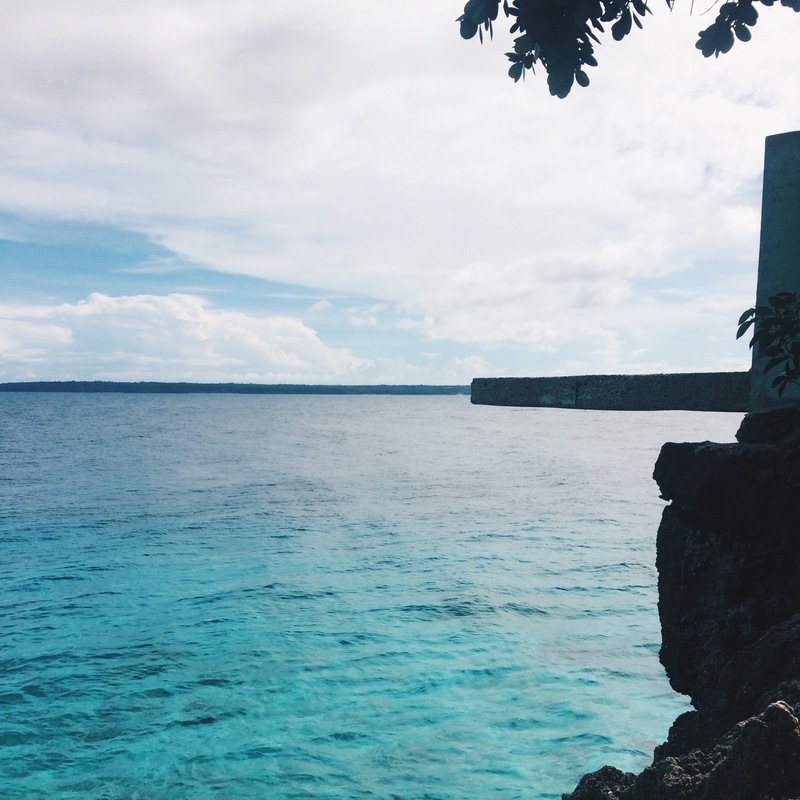 For more details on HOW TO GET THERE, WHERE TO STAY and our full SIQUIJOR ITINERARY (Read: Top Things to do in Siquijor and Travel Guide) Here’s a list of hotels you could book in Siquijor. Entrance Fee: Entrance fee/head P25. Entrance fee per tricycle P25. Meals: There’s a restaurant near the beach that serves meals from P150 – P400+. They also sell refreshments like shakes, softdrinks and local beers. As mentioned from our Cambugahay Falls post (Read: Cambugahay Falls Siqujior: Enchanting Waterfalls at the Island of Fire. ), it’s best to visit Salagdoong beach as part of an island tour. Tricycle rides to specific destinations in Siquijor is quite expensive so getting an island tour would be more practical. During our visit, there was a Chinese tourist who got injured at the lower cliff-diving area. According to the guide, his jump was not far enough so he hit the rocks at the bottom. The tourist just got a minor scratch and was immediately treated by the resort.